Chenille Kraft brings hands on fun to classrooms and families alike. They strive to provide creative learning opportunities for children at every level. 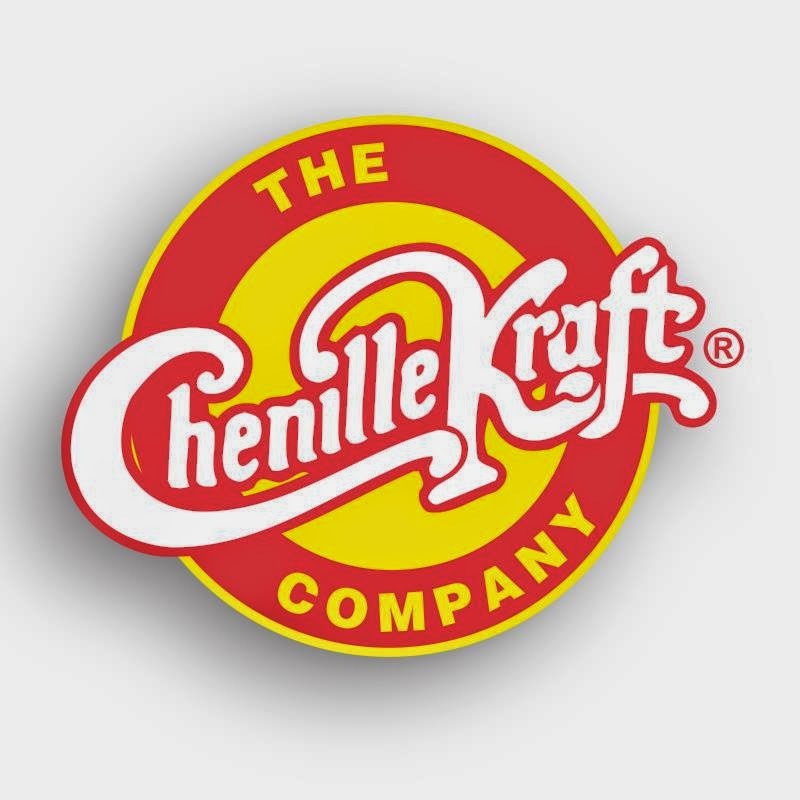 From award-winning maps and early learning/special needs products to the Colossal Barrel of Crafts, Chenille Kraft Company offers value, education, and fun in every product they make. We got some amazing products from them that we will use for learning and playing! The Embossed Paper Set Fine Art Collection - 2 each of 8 designs in larger sizes designed for full scale art projects. 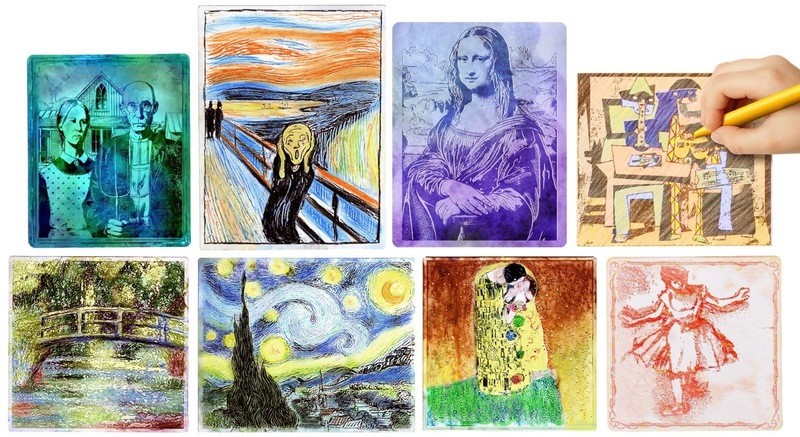 Introduce students to the work of Leonardo da Vinci, Vincent Van Gogh, Pablo Picasso, Claude Monet, Gustav Klimt, Grant Wood, Edward Munch and Roy Lichtenstein in a fun new way! Sizes range from 7.5” x 7.5” to 11” x 7”. Also, the Fine Art Embossed Paper Set Kit, which contains 4 each of 8 embossed papers. With artistic masters designs and includes crayons, watercolor paint tray, colored pencils, oil pastels, drawing chalk, instruction sheet, and fun facts. Papers can be used an unlimited number of times as traditional rubbings or individually for a unique personal masterpiece. WonderFoam Giant USA Photo Puzzle Map - The WonderFoam Giant USA. Photo Puzzle Map brings history to life! This beautiful map is chock full of fun facts and will pull your kids into history and geography like never before. Take a walk through the American revolution, enjoy the natural beauty of California, or discuss the Battle of Little Big Horn! 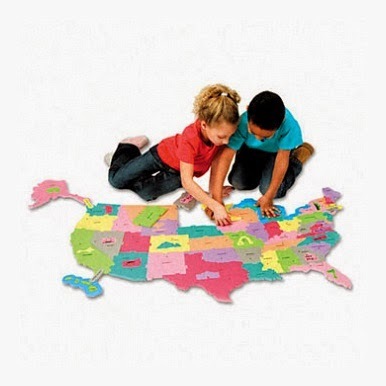 From American history, to music and geography, they cover it all: • 57 total puzzle pieces • 50 state pieces (Connecticut and Rhode Island as 1 piece, Michigan in 2 sections) • 5 Great Lakes • 2 interlocking play bars (to attach Alaska and Hawaii) • Fun Facts History and Landmark Study Guide. Check it all out at Chenille Kraft on Facebook.